Feel Brave: The Ultimate Happiness Prescription - A recommended read! 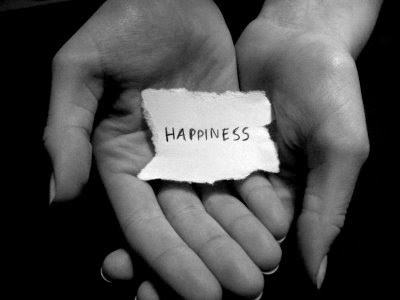 The Ultimate Happiness Prescription - A recommended read! ‘The Ultimate Happiness prescription’ by the wonderful Deepak Chopra is an insightful and inspiring read and one that I highly recommend. He talks about one of the leading theories of happiness, what causes suffering and the seven keys to enlightenment and contentment. Researchers have found that 40% of happiness depends on your ‘Set Point’ which refers to your genes and your upbringing (Nature and Nurture). Children’s brains have neurons that mirror the brains of adults around them, so if a child is surrounded by unhappy adults, the nervous system will be programmed for unhappiness even before he has any cause for unhappiness himself. Living conditions only account for 7% to 12% of happiness. Almost 50% of the happiness formula depends on Voluntary Activities which are the things we choose to do every day. According to researchers, making other people happy proves to be a fast track to happiness and its effect is long lasting. Turning to creative expression to make yourself happy can also generate positive results that last a lifetime. Fortunately, it isn’t necessary to wrestle with five causes of suffering. They are all contained in the first: ignorance of your own identity. Once you experience who you really are, all suffering will come to an end. To me the key messages are that some of us are lucky to come from a great nature and nurture set point but if you don’t, it doesn’t mean you cannot change it. Living conditions are only a small contributor to happiness and what really matters is how you choose to live your life, turning to your creative expression and how important it is to not get mindlessly wrapped up in the delusion of the ego! Sounds like a must read! The point about EGO is important, and often very difficult to notice. Letting ego dictate actions can make oneself very miserable indeed.